Just like home inspectors, all home inspection reports are not created equal! There is a huge difference between one report and another, and it all starts with the inspection software. The more detailed the home inspection report, the more it helps the inspector with the home inspection. The ability to add many images easily to the report is essential. After all a picture does say a thousand words? 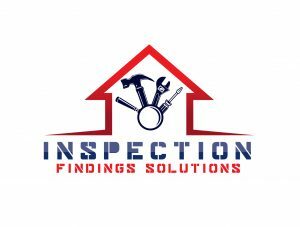 What do you look for in an home inspection report? Is it detailed, but user friendly. Is it written with legalize or in plain English. Are there photos along with the deficiencies / issues which were found. Is it easy for the client to read and comprehend? Does the client understand what you are looking at in the photos, circles, arrows, and a description next to the photo helps immensely. Comment: These are findings which are minor/marginal in nature. Please note, some items that are listed as a comment, can over time, turn into major issues if not adjusted, corrected/repaired, or replaced. Comments may be rated as Satisfactory or Attention Required in the report. Issues: These are items that need repair or replacement and/or additional evaluation by a licensed contractor or certified technician. Safety hazards and/or safety enhancement recommendations are also listed as issues. Issues will be rated as Attention Required in the report. The inspection report educates the customer about the major components of the house.